After all SMTP addresses are added to accepted domains, we should configure receive connectors now. As you all know that HUB server role is no longer available. New role is embedded into CAS role that named Front End. The important receive connector here is “Default Frontend Server name” Because both role, mailbox and CAS have been installed on same server and this server is on the secure zone but this connector receives email from anonymous client. 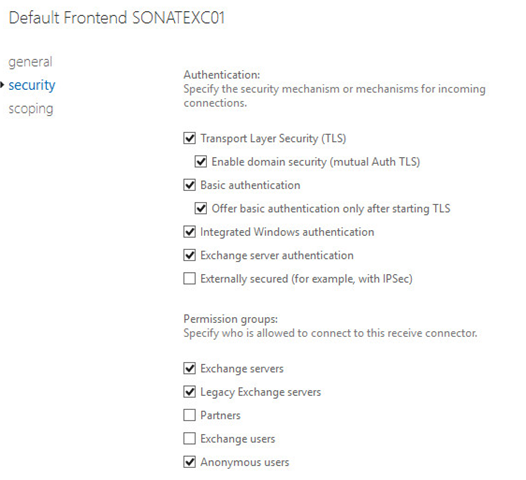 I think this changes made due to Edge site server is no longer part of Exchange environment anymore. On Mailbox Server next two connectors are created during installation. 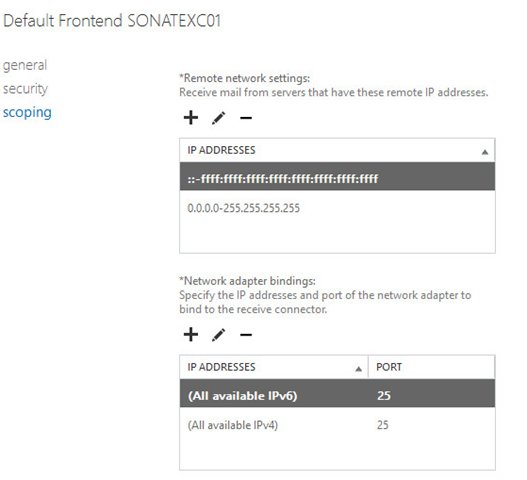 Default “server name” Accepts connections from Mailbox servers running the Transport service and from Edge servers. 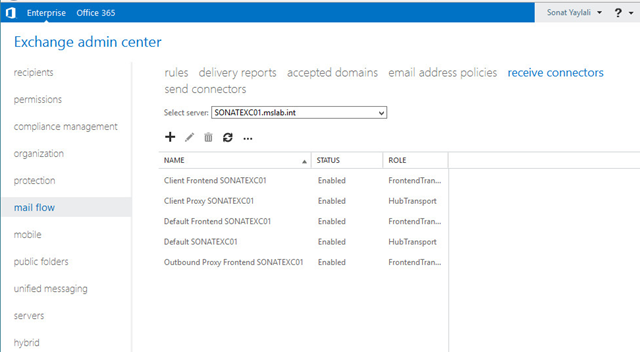 Client Proxy “server name” Accepts connections from front-end servers. Typically, messages are sent to a front-end server over SMTP. On CAS server following connectors are installed during the installation. Default FrontEnd “server name” Accepts connections from SMTP senders over port 25. This is the common messaging entry point into your organization. 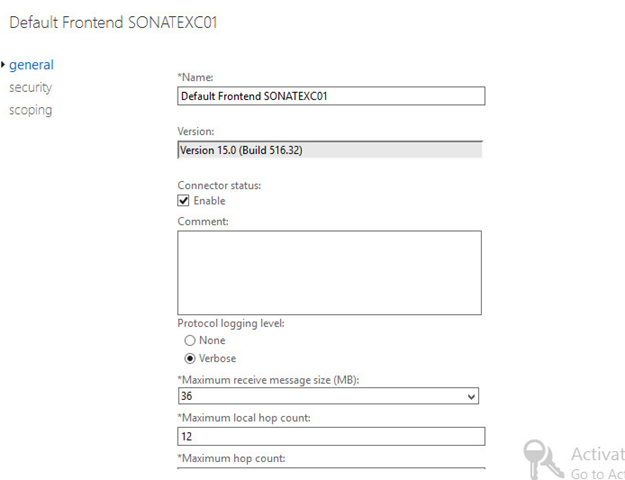 Outbound Proxy Frontend “server name” Accepts messages from a Send Connector on a back-end server, with front-end proxy enabled. Client Frontend “server name” Accepts secure connections, with Transport Layer Security (TLS) applied. Click on “Default Frontend Server name” and then click “pen” icon to edit it. The important section in this menu is “Maximum receive message size is 36 MB” you can change it anytime. Go to Security section, Only Exchange Users and Servers are selected. Be ensure that anonymous users is not selected. That means you need a front end server or appliance works as an edge server. Now let’s have quick look to scoping, all IP address including IPv4 and IPv6 are added to allow list and you will use 25 port. Click on save.